We cruise cruise around the Cheshire Ring from Hardings Wood Junction. Our descent of Heartbreak Hill takes us under the Poole Aqueduct that we’ll cross over later. 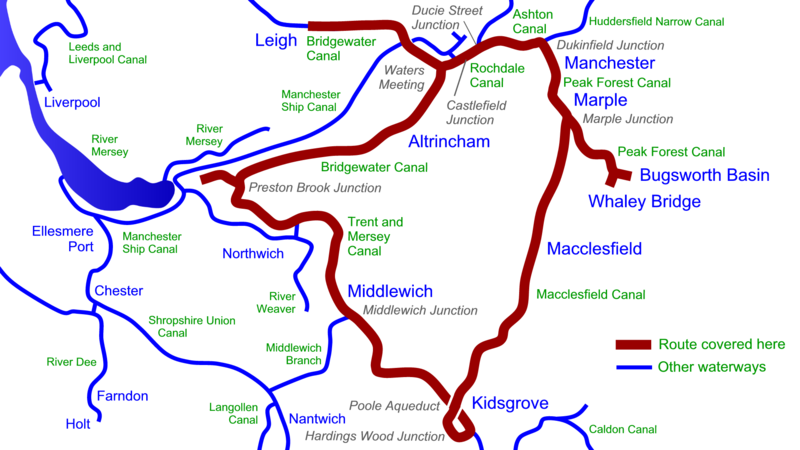 Known to the old boatmen as the Cheshire Locks these lower us to the Cheshire Plain and Middlewich Junction. Continuing along the Trent & Mersey Canal we pass the Anderton Lift before passing through three tunnels to reach Preston Brook. We visit both Runcorn and Leigh on the lock free Bridgewater Canal taking us to Manchester. 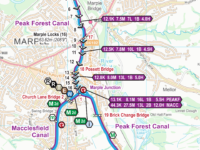 Our climb starts with the Rochdale Nine Locks, and continues with the Ashton and Marple Locks to reach the great views of the Upper Peak Forest Canal to Whaley Bridge and Bugsworth. 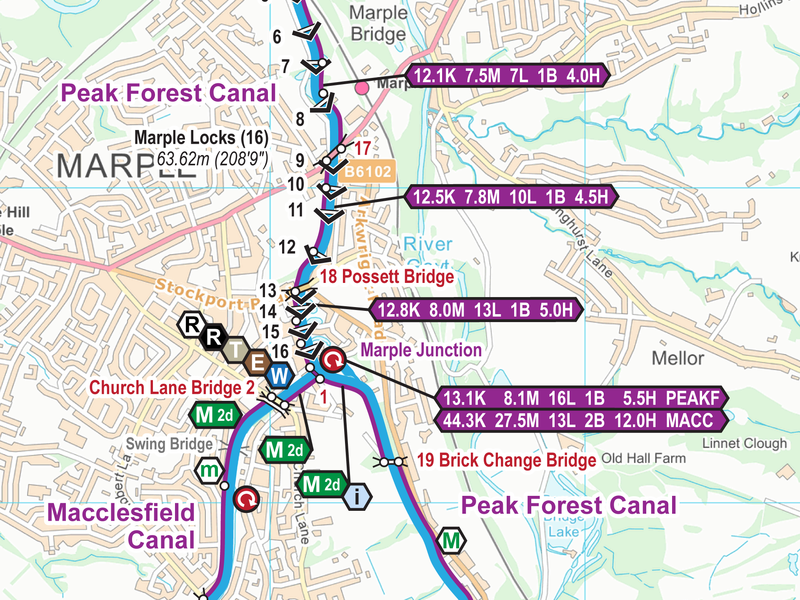 The scenic Macclesfield Canal completes the ring. 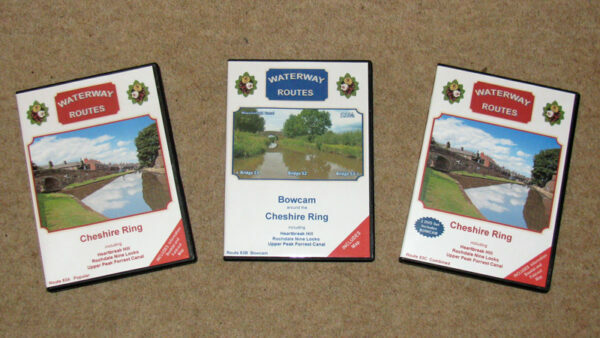 Route covered by the Cheshire Ring DVDs. Cheshire Ring DVDs in a choice of formats. 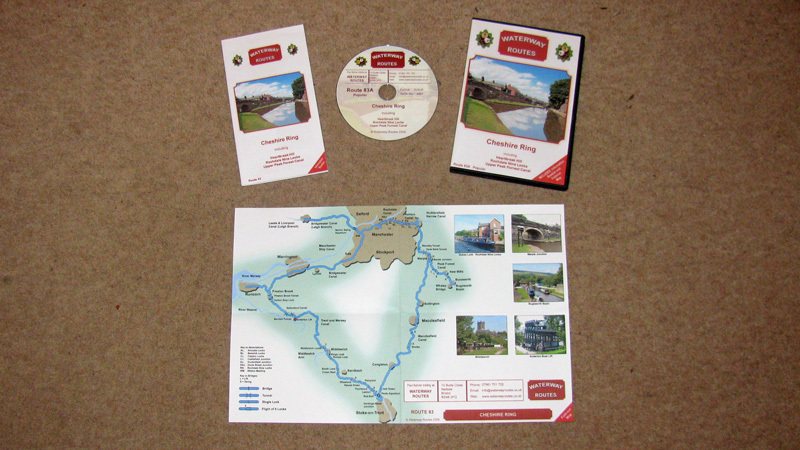 Cheshire Ring Popular DVD Contents. Extract from my Cheshire Ring Maps. Read more about my Cheshire Ring Maps. 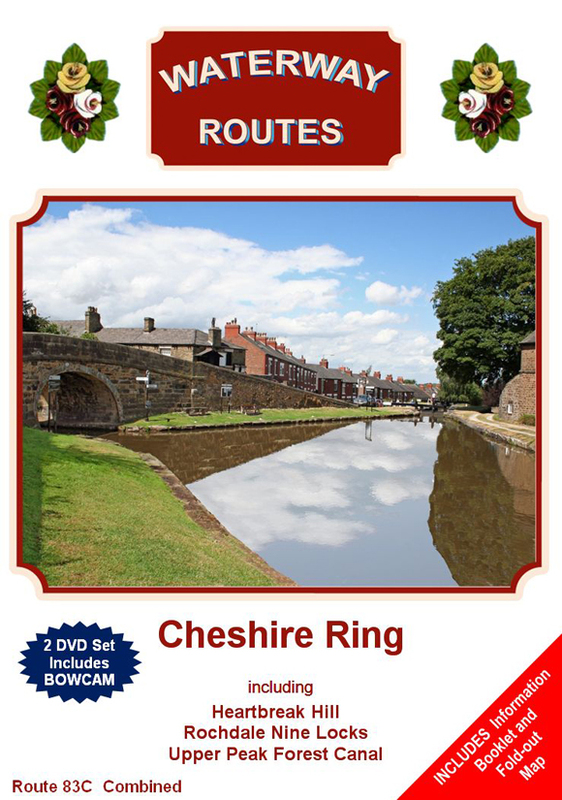 Save 10% on both when you buy a Cheshire Ring Map and DVD together. Automatically deducted at checkout.